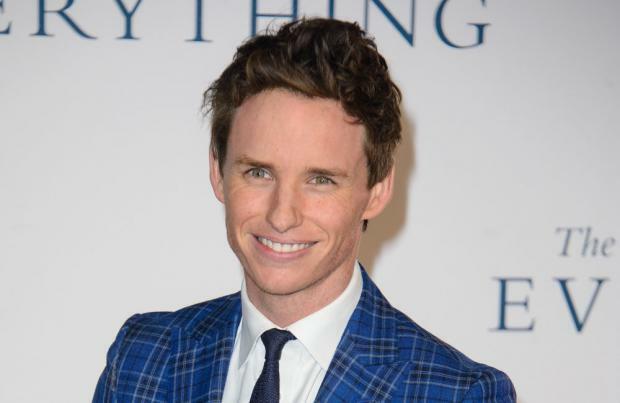 Eddie Redmayne worried he wouldn't do Stephen Hawking justice when he took on the role of the physicist in 'The Theory of Everything'. The 'Les Miserables' actor felt challenged by the part - in which he depicts the world-renowned scientist suffering various stages of motor neuron disease, ending in almost complete paralysis - and felt a great "responsibility" in telling his story. Eddie told The Daily Telegraph magazine: "Getting Stephen's changing physicality right was very hard. But managing the fear and responsibility of playing him and doing justice to him was tough too." However, the film's director James Marsh insists the 32-year-old star was perfect for the part and had full confidence in him from the first day of filming. He said: "I wanted Eddie on the shortlist and once I met him I knew I wanted him to do it. There was something about the way he talked about it, something in his eyes. He understood what it was going to take in terms of preparation. "By the end of the first day's shooting I knew it was going to work. On that day Eddie did three versions of Stephen - as an able-bodied student, walking on two sticks and lastly in a wheelchair." Eddie added that James' enthusiasm helped inspire confidence in him. He said: "The first day was trial by fire. It was terrifying, but at the end of the day I'd learnt that James had faith in me, even when I didn't have faith in myself." Stephen Hawking (Redmayne) and Jane Wilde (Jones) lock eyes at a university party, but their budding love affair is given a blow by his diagnosis of motor neurone disease. Redmayne is astonishingly good and Jones inspires sympathy and admiration, but the script is never really convincing.